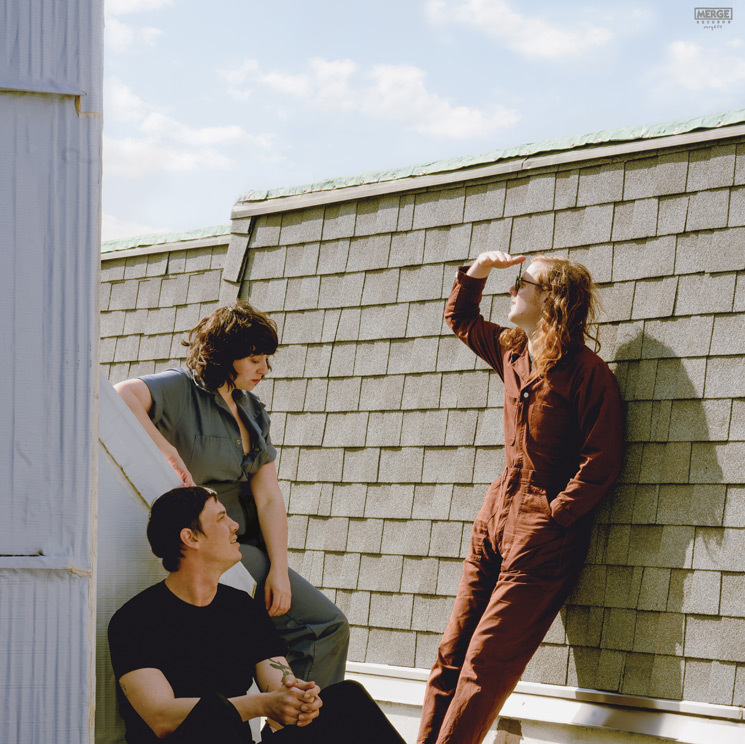 A funny thing happened between Swearin's 2015 split and their reformation last fall: Allison Crutchfield (along with her sister Katie) became figureheads for a new generation of American indie rock. But on their first album in five years, the Philadelphia trio make clear out of the gate that their reunion is an attempt to reclaim the artistic spirit that originally brought them together, as much as it is a chance for Crutchfield and co-front person Kyle Gilbride to hash out the romantic breakup that led to the band's disillusion. "We're both older now, but you still let the music determine how you feel any given night," sings Crutchfield on opener "Big Change." A trivial thing like a broken heart isn't about to get in the way of the music. Fall Into the Sun follows 2013's Surfin' Strange in moving away from the visceral thrill of the band's early work. Its sound is more robust, the songs more thoughtful and frankly, more mature. Crutchfield and Gilbride split songwriting and vocal duties, with Crutchfield delivering most of the album's high points, especially the sparse, acoustic "Anyway." Still Gilbride, the less-heralded, though still incredibly talented of the two, nails album closer "Future Hell." It's tempting to read the album as a point-counter point of their relationship. Crutchfield's songs, like "Grow Into a Ghost" where she sings "I hang out with old friends and they unknowingly remind me of who I was before we met," certainly give credence to such a interpretation. Yet such a setup would inherently favour Crutchfield, whose narrative writing style is often punctuated by plainspoken truth-bombs in comparison to Gilbride's more obtuse lyrics. It also ignores the contrition at the heart of these songs: the past is the past and it shouldn't be an obstacle to what is a particularly fruitful musical partnership. No more is this more apparent than when one backs the other on vocals, their untrained voices providing emotional counterpoint to each other.